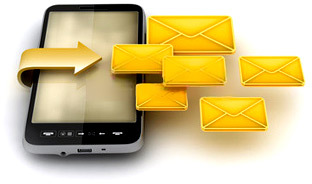 Download GSM Mobile Text SMS Software to send bulk SMS, notifications, reminders etc. SMS broadcasting program easily sends group SMS from PC using GSM technology based mobile phones. Delayed Delivery option to control and manage load of bulk SMS broadcasting. Supports GSM technology based mobile phone to send SMS. Provide option to send SMS in Unicode characters.